Kubernetes: Why won't that deployment roll? Kubernetes Deployments provide a declarative way of managing replica sets and pods. A deployment specifies how many pods to run as part of a replica set, where to place pods, how to scale them and how to manage their availability. 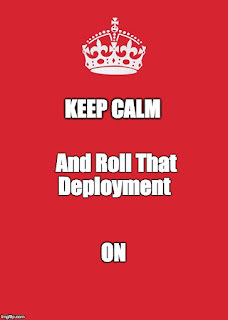 Deployments are also used to perform rolling updates to a service. They can support a number of different update strategies such as blue/green and canary deployments. The examples provided in the Kubernetes documentation explain how to trigger a rolling update by changing a docker image. For example, suppose you edit the Docker image tag by using the kubectl edit deployment/my-app command, changing the image tag from acme/my-app:v0.2.3 to acme/my-app:v0.3.0. When Kubernetes sees that the image tag has changed, a rolling update is triggered according to the declared strategy. This results in the pods with the 0.2.3 image being taken down and replaced with pods running the 0.3.0 image. This is done in a rolling fashion so that the service remains available during the transition. Under the covers, Helm is just applying any updates in your chart to the deployment and sending them to Kubernetes. You can achieve the same thing yourself by applying updates using kubectl. Now let's suppose that you want to trigger a rolling update even if the docker image has not changed. A likely scenario is that you want to apply an update to your application's configuration. As an example, the ForgeRock Identity Gateway (IG) Helm chart pulls its configuration from a git repository. If the configuration changes in git, we'd like to roll out a new deployment. After editing the ConfigMap, and doing a helm upgrade, nothing terribly exciting happened. 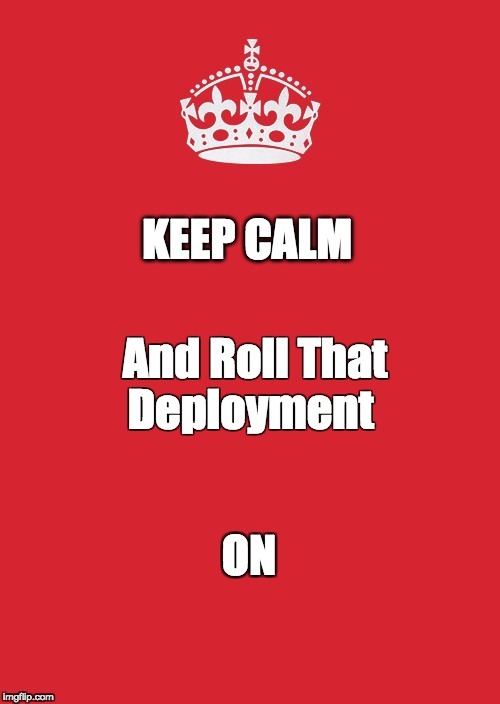 My deployment did not "roll" as expected with the new git configuration. As it turns out, Kubernetes needs to see a change in the pod's spec.template before triggers a new deployment. Changing the image tag is one way to do that, but any change to the template will work. As I discovered, changes to a ConfigMap *do not* trigger deployment updates. When the IG helm chart is updated (we supply a new value to the template variable above), the template's spec changes, and Kubernetes will roll out the new deployment. Here is what it looks like when we put it all together (you can check out the full IG chart here). # install IG using helm. The git branch defaults to "master"
And that my friends, is how we roll.